Sister Mary Ellen McDonagh, BVM died Saturday, Nov. 3, 2018 at Caritas Center in Dubuque, Iowa. Visitation, Sharing of Memories and Mass of Christian Burial were on Friday, Nov. 9, 2018, in the Marian Hall Chapel. Burial is in the Mount Carmel Cemetery. She was born on Nov. 17, 1950, in St. Louis, to John and Rosemary Burke McDonagh. She entered the BVM congregation Jan. 14, 1973, from Our Lady of Loretto Parish, St. Louis. She professed first vows on Oct. 4, 1975, and final vows on May 29, 1982. Sister Mary Ellen was an English teacher at Regis-O’Hara HS in Kansas City, Mo. ; The Immaculata in Chicago; Xavier HS in Phoenix; and Assumption HS in Davenport, Iowa. 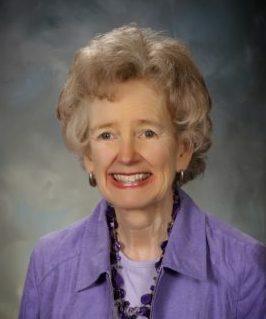 She was editor of the Diocese of Kansas City – St. Joseph newspaper, staff member of the Holy Family Catholic Worker, communications coordinator at the Interfaith Peace Alliance and assistant administrator and program coordinator at St. John’s Center, all in Kansas City, Mo. She worked as an advocate for social justice at the 8th Day Center for Justice in Chicago. She was preceded in death by her parents; brother, John F, Jr.; stepbrother, Justin (Patricia) Hessel; and step-brother-in law, H. David Stoops. She is survived by stepsisters Maryann Stoops and Catherine (Richard) Graham, both of St. Louis; nieces; nephews; cousins and the Sisters of Charity, BVM, with whom she shared life for 45 years. First of all I want to thank you. Thank you for being our aunt and sister. I will always remember our family holidays, all of us around the table talking and telling jokes. You always laughed even if you didn’t get it. You always had a better one and funny at that. Thank you for being a part of our lives and being there for us when we didn’t even know we needed the extra help. You will be missed, but we know you will be looking over all of us.